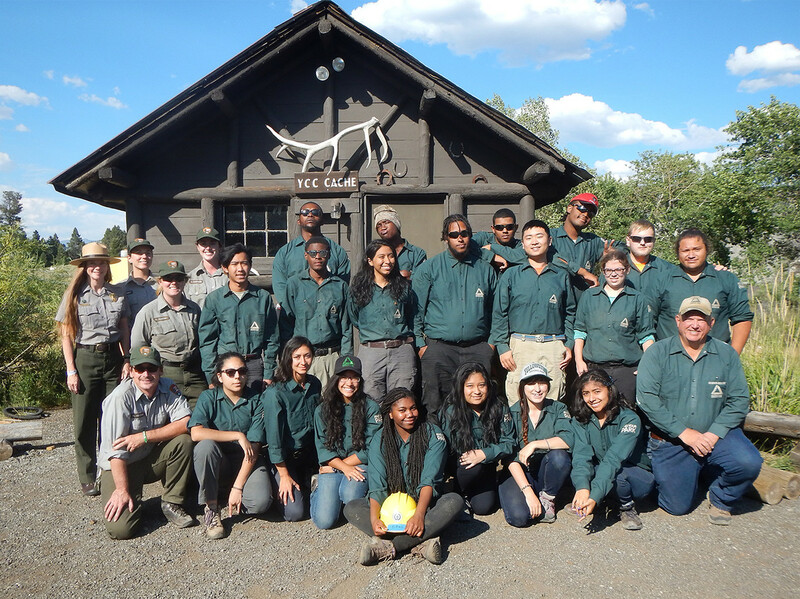 The first wave of 20 Groundwork youth has arrived in Yellowstone National Park and is spending the week working on various service-learning projects with the Youth Conservation Corps (YCC). 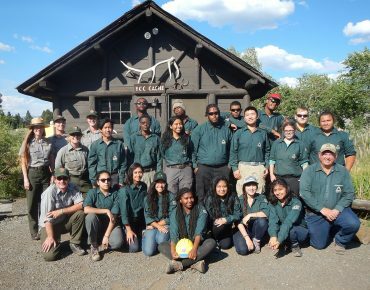 The Groundwork USA program at Yellowstone, now in its fifth year, allows 60 youth who spend their summers working on conservation projects in inner cities the chance to spend eight days each working in the Park. The youth are selected from Groundwork sites across the United States and are often chosen from dozens of other candidates. This first group of youth hails from Groundwork Trusts in Lawrence, Massachusetts; Providence, Rhode Island; Jacksonville, Florida; Dallas, Texas; and Richmond, California. The partnership between Yellowstone National Park and Groundwork USA was created by Yellowstone National Park’s Judy Knuth-Folts, Deputy Chief of Resource Education and Youth Programs, and Bob Fuhrmann, National Youth Programs Director and Volunteer in Park Coordinator. The week spent in Yellowstone, often the highlight of the Groundwork youths’ summer, allows them the opportunity to work with conservation professionals at YCC, connecting the work they do in their home communities to preservation efforts in the Park. For many Groundwork youth, this is their first time in a national park. Over the next few weeks, youth from 23 cities will participate in the program in Yellowstone. The first Groundwork crew is building trail improvements between the Norris Campground and the Norris Geyser Basin, and installing buck-n-rail fencing at the campground and “bumper” logs at the Boiling River. The youth spend their off-work hours hiking the Mammoth Hot Springs Terraces, wildlife touring, and engaging in resource education.